When you first buy a new car, most people go out of their way to keep it clean and in good shape. You may even overprotect it a little but when the new wears off, it’s easy to fall into bad habits. If you’re like most people, you stay busy between work, taking care of the family and running errands. You may be too tired or not have the extra time to clean or even have your vehicle serviced as often as you should. This is understandable but it’s also unfortunate because taking care of your new car has many advantages. If you take good care of your vehicle, the resale value will be higher if you ever decide to trade it in on a new one or sale it straight out. If the carpet is dirty, the seats stained/torn or the dashboard is cracked, your auto loses value and no one is going to give you top dollar for your car. However, if it still looks new on the inside and out except for normal wear and tear, your resale value will be much higher. In addition to keeping it looking nice, you also need to keep it in good running condition. Regular maintenance is at the top of the list when it comes to taking care of your vehicle. If you neglect to keep maintenance up, you will eventually run into problems. You need to change the fluids and filters, replace brake pads and check for worn belts and hoses on a regular basis. When you lease a Toyota, servicing the vehicle is mandatory, which gives you an idea of just how important regular maintenance is. Some people are so busy they feel like they don’t have time to keep their vehicle maintained and others may feel like there is no need to have the car checked out if there is nothing wrong. However, regular maintenance checks help you find and take care of small problems before they become big issues. 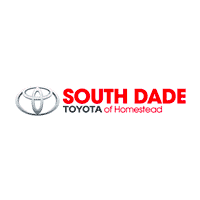 Servicing your vehicle is so important that here at South Dade Toyota, our service center is open late to make it easy for you to schedule routine maintenance checks to keep your vehicle in top-notch condition. No one wants to end up stranded on the side of the road because your car broke down but it happens. Not only is it inconvenient but it can also be dangerous. If you maintain your vehicle, it greatly reduces the risks of it breaking down on you unexpectedly. It also saves you money in emergency repair because preventative maintenance is far less expensive than fixing something after it breaks, especially if it affects the engine or transmission. Worn tires can blow out causing an accident and even having trash in your vehicle is a safety hazard. Something could roll under the brake pedal preventing you from stopping or if you’re involved in an accident, things flying around in the vehicle could cause injuries. Don’t let your busy life keep you from maintaining your vehicle properly. Taking care of your new car will protect its resale value, keep it running smoothly and keep you safer when on the road.